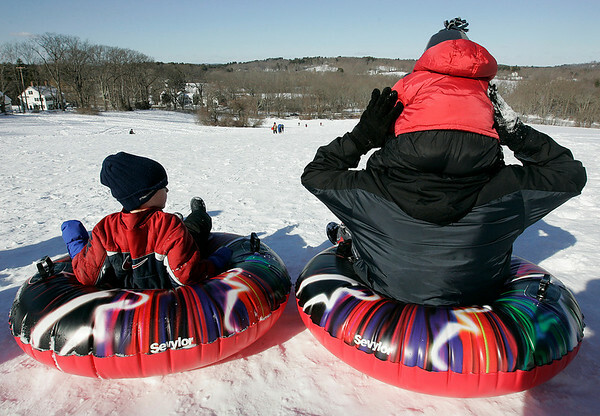 Topsfield: The Nolan family of Danvers prepares to make their way down Wheatland Hill while sledding Saturday morning. From left is Gavin, 6, and this brother Tobin, 3, dad Bill. Photo by Deborah Parker/Salem News Saturday, January 24, 2009.